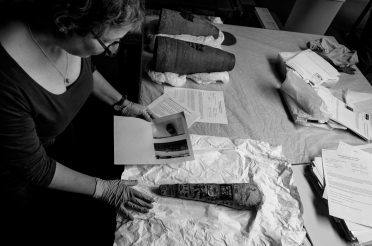 On 15 April I hopped on the train to Manchester to see and photograph the Animal Mummies: Gifts to the Gods exhibition at the Manchester Museum in its last few days. I also met up with Curator of Egypt and Sudan and my old university buddy Campbell Price to find out how the exhibition has worked out. How’s exhibition gone? Has it been a success? It has been a success. Obviously, I would say so, because I was working on it. But I think you can measure success by going into the gallery and hearing what people say, and we’ve had lots of positive comments from students, from little children, from older children, from very old people. Across sections of society, I think people have enjoyed the exhibition. On a professional level, the museum’s journal gives a very good review, which is always important in the industry. We’ve had a very good review from the Arts Council; they come and do a new thing in museums about quality control. You get a peer review from someone in the arts museum sector, so that was very important. And finally, we actually won the best exhibition in the city award for Manchester, which is voted for by the regular museum-going public, so yes, it’s been a massive success. What’s been the most popular part of the exhibition? Honestly, I didn’t think it at the time, but we chose to do smells right at the end of the chronological trail of the exhibition. 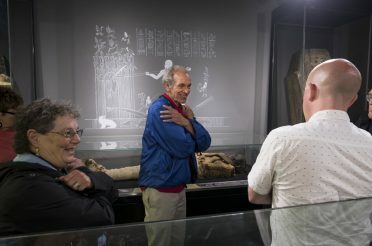 We did some limited sampling of the mummies, and through that my colleagues have established the ingredients of mummification, so we have given people the chance to sniff the ingredients. I thought it would not be that interesting, but everyone loves it, and the smells are still really strong six months later. And something else I thought really wouldn’t be of much interest are the hieroglyph embossing stamps. I think it’s because it’s something you don’t get at home. If you’ve got an iPad in the exhibition and it asks you a question, well, everyone knows what an iPad is. Not everyone has a hieroglyphic embossing stamp of animal hieroglyphs at home. So having the chance to learn something from the exhibition – understanding that in ancient Egypt you can communicate with the gods, put a message on a piece of paper, get an image of the god on the paper and then post it in the catacomb – is really something. So, that’s probably been the most popular. Have you had any particularly hair-raising moments? Yes, when we were installing the exhibition. the painting, the big canvas [The Gods and Their Makers, Edwin Longsden Long], we thought it would be glazed; I had misunderstood the loans documentation and in fact it wasn’t glazed, and it was quite hair-raising installing it, but it’s’ been fine. We were worried that when visitors come out the catacomb, little children would run out, excited, ‘Aaaah, we’re in an ancient catacomb!’ and run straight into a 19th century painting, but it’s been fine. But it was hair-raising to put in. What lessons are you taking away in respect of organising future exhibitions? Be organised. Know exactly where everything’s going, know what size things are, whether things are glazed or not glazed. As I speak to you now, we are planning for its move to Glasgow, which is a very different space; our temporary exhibition space as museums go is quite small, quite tight. It’s been quite a challenge to rethink the exhibition modules in a different configuration, so I think I would learn: plan in advance, plan for the unexpected and get a good designer. We’ve been very fortunate with our designer Andrew Gibbs; he had a real idea of what we wanted to achieve and I think the success of the exhibition is largely due to his physical design. 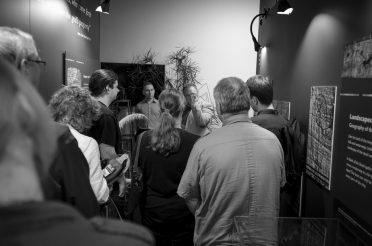 Planning and organising an exhibition obviously adds a lot to your workload, but what about during the exhibition; how does it affect your workload throughout? When the exhibition opens, you do get asked about it in the duration. So, tours, which are great fun; you’d never normally be asked to do so many tours. You also get more requests for images or information about animal mummies. I think doing an interesting subject attracts more interest to you. There was a documentary recently on cats; I don’t particularly like cats – living cats – but they came and did that documentary not based on the research that was done here, but because they heard of the exhibition. So the exhibition happening attracts more requests for information and media interest. Do you have plans or ideas for future exhibitions or will you be having a bit of a break first? There won’t be a bit of a break because there’s a plan already for something, although it’s not specifically to do with Egyptology. And of course we have responsibilities now to Glasgow and to Liverpool, so we’ll be working with Animal Mummies until the end. Hopefully, we can catch up again when it’s in Liverpool, on home turf for us both. I’d be interested to see what you think of it in different venues. Seeing people like you coming to take photos of the exhibition has really inspired me. 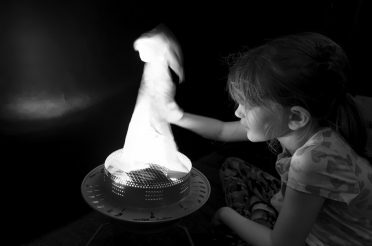 I’ve thought about objects in different ways and I’ve thought that, based upon some people’s photography – not necessarily professional photographers – I might display things differently. 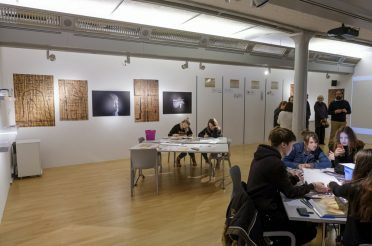 So I think it’s very important, as you’re doing, to go around, even if it’s the last few days of an exhibition, to make a record, because a student in ten years’ time might decide they want to do a history of Egyptology exhibitions in the UK, and will need source material, so we need photographers. If you could organise an exhibition, no restrictions, no holds barred, what would be your dream exhibition? I’d like to do something about the curse; the concept of the curse as a deliberate destruction of monuments and identity, and it’s never really been done. There’s been a lot of scholarship that’s gone into the reuse of coffins, the reuse of tombs and the usurpation of monuments. It’s never really been done in a museum, and I’d really like to challenge the idea of ‘eternal Egypt’; you get so many exhibitions called ‘Eternal Egypt’ or ‘Immortal Egypt’. As an Egyptologist, you study the material and you see the reality is very different. I’d like to challenge something that might tap into that popular idea of the curse, look at what the curse meant to the ancient Egyptians, which is non-existence. So I would like to do that, if I had no holds barred, I’d take great international loans from the States and from the continent in Europe and do it in a big space. Are animal mummies one of your real Egyptological loves? Now they are; never before. A few years ago, I thought animal mummies were oddities. I didn’t realise there were so many of them, I didn’t realise they could be so interesting and I honestly didn’t realise they could be so popular. When we were planning this exhibition, the director’s eyes lit up when he heard ‘Egypt’, ‘animals’, ‘science’, ‘mummies’ – you’ve got pretty much the top museum things. Someone suggested that if you could do an exhibition about mummified dinosaurs, that would the ultimate. But we can’t do that. So animal mummies are very special to me now, as I understand the science that’s gone into them. What else floats your Egyptological boat? Late Period non-royal sculpture is my thing. Colossal New Kingdom royal sculptures. Statuary in general. Reused, altered, deliberately damaged monuments; I think that’s quite cool. Archaism, deliberate quotation of the past in text and image. That’s my research interest and I’m trying to get back into that now in my own time, but I don’t think that would make the sexiest exhibition. I’d love to do it, but I don’t think the museum would see that. You’d need to find a twist; you’d have had to have a story. What the British Museum are about to do in London with Sunken Cities, I have it on good authority that there’s going to be some animal mummies in that, so they’re taking Ptolemaic Alexandria, expanding it out to include marine archaeology, huge sculpture, small objects and society at the time. I think that’s the kind of thing that makes good use of that material. 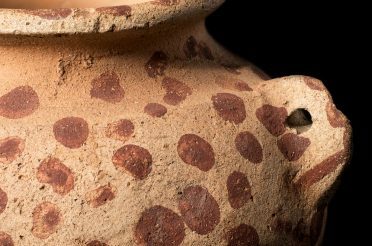 Are there any publications or online catalogues people can get to for the exhibition if they haven’t been able to see it or they want a record of it? 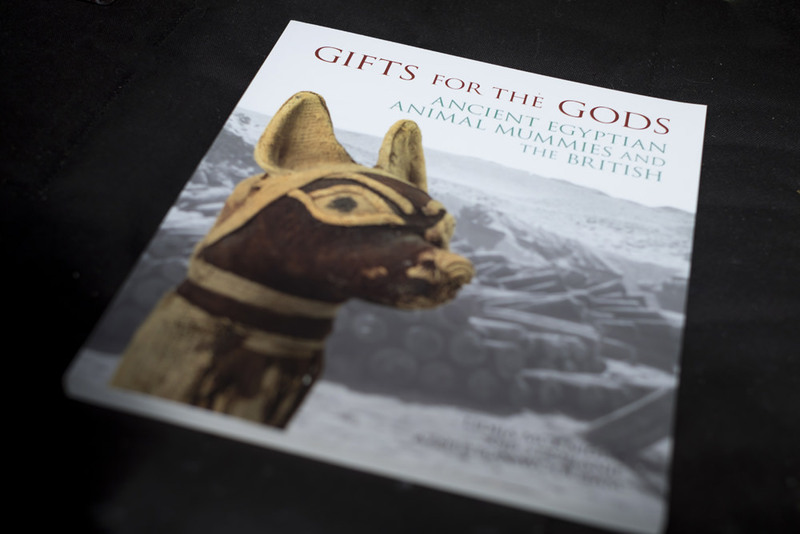 If you want a record, there is an accompanying book [Gifts for the Gods: Ancient Egyptian Animal Mummies and the British]. It’s not a catalogue, but it is an accompanying book that my colleagues Lidija McKnight and Stephanie Atherton-Woolham edited. 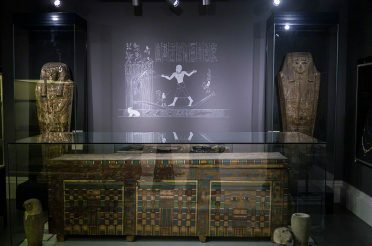 And if people want more information, but you can’t get the book and you can’t get to the exhibition, we did a series of blog posts on Egypt Manchester blog, so there’s a dozen posts summarising the content of the book, and related to the exhibition. The tag is ‘animal mummies’. Some of the information has featured in the exhibition, and some was focused on the public program; if you were lucky enough to go to one of the lectures or handling sessions or wrapping/rewrapping events, you will have seen it, but we summarised all that on the blog. I’d like to thank Campbell for making time in his busy schedule to have a chat with me about the exhibition. It was a lot of fun, and I hope you found what he had to say as fascinating as I did. The photos are roughly ordered to take you around the gallery as it was laid out. Notable collectors and Egyptologists. The quotation reads: [I]t would hardly be respectable, on one's return from Egypt, to present oneself in Europe without a mummy in one hand and a crocodile in the other. The exhibition is now closed at Manchester and is in the process of moving to the Kelvingrove Art Gallery and Museum in Glasgow. It’ll run in Glasgow from 14 May to the 4 September 2016, then move back south to Liverpool. 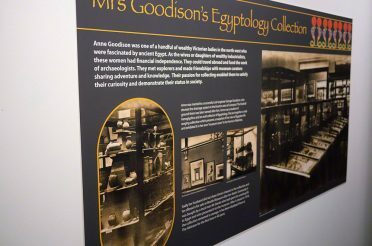 It’ll be on in the World Museum in Liverpool from 14 October 2016 until 26 February 2017, which will provide some much-needed Egyptological relief for those of us in the city while the Egyptology gallery is being renovated and expanded. Personally, I was really very impressed with the exhibition, and my girls can vouch for the child-friendliness, too. I would love to see it at Glasgow, but that’s probably not going to work out, unfortunately. However, being Liverpool based, as Campbell said in the interview, I’ll definitely be revisiting the exhibition when it’s at the World Museum, and will bring you an update then. Have you been to see the exhibition, or will be you going to Glasgow or Liverpool? Get the conversation started in the comments below. I am from Hungary. I had not the chance to see the Exhibition, so thanks for the great article about it. Thanks! I’m glad you enjoyed the post and that you had a chance to see some of the exhibition.